As a result of recent events, I feel the need to recollect this important experience in Thailand. Ever since relocating to California, I’ve been blessed with great weather and more importantly, reconnecting with old friends. Unfortunately, it hasn’t exactly been a bed of roses. On a recent weekend, I was celebrating my close friend, Manny’s, birthday near Petaluma. After two amazing days, I returned to my car parked in San Francisco, and found it broken into and almost everything was stolen. And I really do mean almost everything. Suits for interviews, most of my clothes, gifts from family, and my favorite camping gear including the back-country bag I took with me through South America and Southeast Asia. Which brings me to a search for strength and the recollection of my 10 day Silent meditation in Thailand. Early on during our trip, we had the goal of doing some type of meditation retreat. Ankur had heard good things about Vipassana from another friend who completed it. We did some research on locations and available courses throughout Laos, Cambodia, and Thailand, and eventually settled on a course in Western Thailand in early October. Now, before signing up we had to actually be accepted into the program which required completing a questionnaire and agreeing to a Code of Discipline. This code involved complete silence for 10 straight days and following five precepts for new students: To abstain from 1-Killing any being, 2-Stealing, 3-Sexual activity, 4-Telling lies, 5-Taking any intoxicants. This did not seem too hard, until I arrived and found out how thorough it was, especially the code of silence. 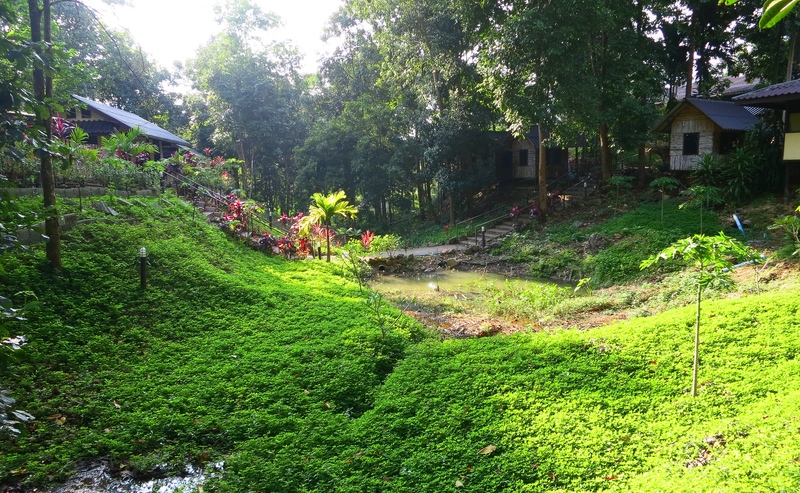 After a winding seven hour bus ride with fellow students who were mostly quiet, we arrived to our center in the jungle where we were quickly separated from the women and directed to the men’s side of the campus. The first step was putting all forms of communications locked away for the next 10 days. This included laptops, phones, cameras, pens to write, journals to write in, books to read, and even jewelry/paraphernalia to distract us. We were even told to not look or make eye contact with other students. The silence and communication went beyond verbal & nonverbal. It was removing all forms of outer stimuli. It was silence on all levels, and the storm quickly grew in strength. For the next 10 days, I would be completely off the grid, meditating for 10+ hours a day and in complete silence. It seemed like entering Zion, or preparation of relinquishing Maya. Day 1 began with a morning bell at 4am with the first 90 minute session of meditation. We continuously received instruction and it was in this first session that I realized how simple yet difficult the technique would be. There was no mental chanting, no mental simulations or imagining, and not even a forced type of breathing pattern. It was purely examining your breathe – unforced, as it is. It started making sense to me. What attracted us to Vipassana from the start was how it stated outright that it was not an organized religion and that it was a process of self-observation as a means of purification. The word Vipassana itself means seeing things as they really are. The only trace of religion was when we learned that the practice itself was “rediscovered” by Gautama the Buddha 2500 years ago. BUT, surprisingly, there was not one image or idol of the Buddha anywhere on the campus grounds. Essentially, the practice & teaching itself was of utmost importance, and any other entity speaking or teaching the method was merely just a medium for the method. Even when the taped recording of the teaching began, there was no formal introduction of the teacher himself. As opposed to a presentation of his accolades, he spoke only of the technique. The first day continued and I slowly learned how detailed and thoroughly the program and its volunteers took care of us. Two meals were given: one at 6:30am and a second at 11am. At 5pm, the new students were allowed tea and fruit. Along the entire course of the day, 60 or 90 minute meditation sessions were scheduled along with short breaks to stretch. After 10+ hours of meditation, the lights were out at 9:30pm. We were provided with our own personal cabins and the laundry was also done for us. Yet, with all these comforts, I started a path of severe uneasiness. The noise of verbal & nonverbal communication, stimulation of the internet, books, and writing were all gone. The chatter which was always present on the surface of my mind had dissipated. The first cut into a deep mental & emotional surgery was made. Within a few hours, my deepest fears, worries, and darkness started to rise to the surface. My untrained mind was leaping from one branch of thought to another branch like a monkey as I sat there in the stillness of the hall. Drifting from the past and the future, my mind was hardly in the present. Focusing on my breathe for more than 2 minutes seemed impossible. My mind was wild with agitation. This was when I learned my first lesson – while trying to focus on the present breathe, “when the mind wanders away, smilingly, without any tension, one accepts the fact that, because of its old habit pattern, it has wandered.” The first important step was coming to terms with the old habits and not recognizing them as “wrong,” or “bad,” and eventually resenting them. Rather, recognizing the old habits as an impetus to improve and a weakness to evolve from. For the next few days (Day 2- Day 3), the agenda was to continue the technique to focus on my respiration, as it was, in that present moment. And if the mind wandered, to just observe it objectively , without emotional reaction, and return to the present moment – the breathe. This entry was posted in Asia and tagged breathe, discipline, Kanchanaburi, meditation, precepts, present, silence, storm, surgery, Thailand, vipassana. Bookmark the permalink. great post, thanks for sharing your thoughts and experience.